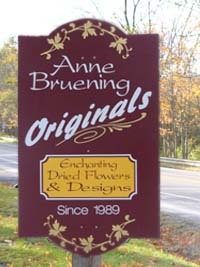 Anne Bruening Originals is located just 1 mile west of New Wilmington, PA on State Route 208. Follow State Route 208 to the sign pictured on the right. By Appointment only – this is to insure quality uninterrupted service to my clients.